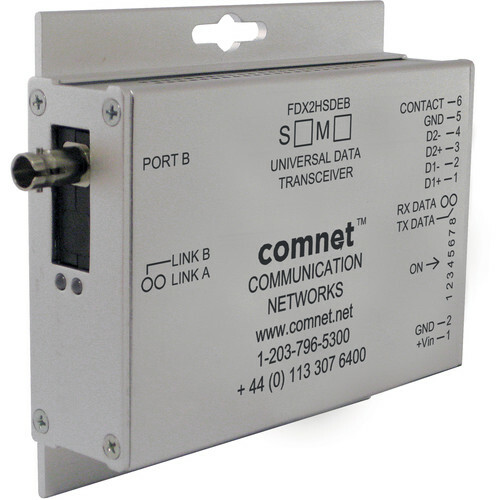 The Dual High-Speed RS485 “A” End Point Data Transceiver from ComNet provides point-to-point or drop-and-repeat transmission of two independent simplex or duplex high-speed RS485 (2W) data signals over one optical fiber. It is transparent to data encoding allowing for broad-range compatibility. A medium-sized surface mount module, this transceiver can be used with multimode optical fiber and features built-in DIP switch-selectable bias and termination resistors for each data channel. Plug-and-play design ensures ease of installation, requiring no electrical or optical adjustments. 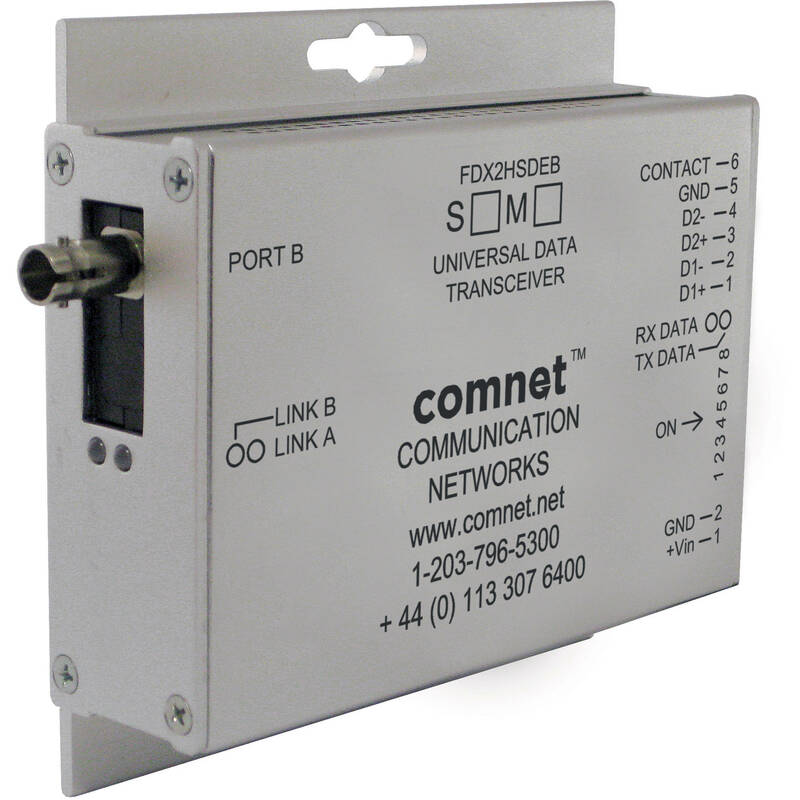 Each transceiver incorporates bi-color (red/green) indicating LEDs for monitoring proper system operation, including the location of fiber breaks.